For some, it may still come as a surprise to hear that oral health and overall wellbeing are closely connected, but it’s true. Last December, a report from The Wall Street Journal revealed that what happens to your smile can influence what happens in the rest of your body. In this post, we’d like to focus on two health problems in particular: cardiovascular disease and diabetes. When we say that your oral health affects your overall health, we’re talking about a specific aspect of your oral health—periodontal disease, which you might know better as gum disease. 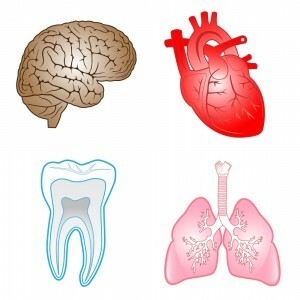 How does periodontal disease affect overall health? By creating pockets between the teeth and gums. It’s through these pockets that bacteria and plaque are able to gain access to the rest of the body. You might think of them acting like a bridge, a window, or better yet, a subway. From these pockets, these harmful things are carried to other parts of the body, where they can potentially cause other problems. The heart, in particular, is vulnerable. That’s because bacteria and plaque from the mouth can irritate the arteries, resulting in the production of a protective plaque that can harden and block the flow of blood. When blood flow is restricted, the result can be a heart attack, among other problems. The connection between oral health and diabetes is more mysterious. Researchers and medical professionals are still debating whether patients with periodontal disease are more susceptible to diabetes or if it’s the other way around. Regardless, the connection is no less real, and patients with diabetes are advised to pay close attention to the health of their gums. How can our patients from Aurora and beyond do that? The best way is through great at-home care and with regular visits and cleanings at our dental office. During your regular visit, Dr. Nicholas D’Amico or Dr. Matt Mauck will have the chance to examine your smile for signs of periodontal disease and other serious oral health conditions. We can also offer advice on any follow-up treatment you might need, in addition to helping you improve your at-home routine.